We are thrilled to announce a new operating model for AI Australia, called People Powered. The model is supporter centric and puts our activists, members and donors at the heart of our work. 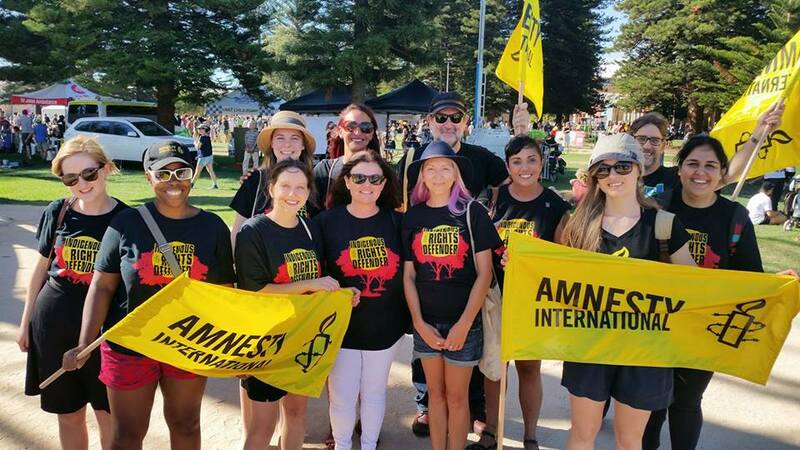 The model recognises that there are up to 1.2 million Australians who share Amnesty’s values and are willing to act for human rights, and puts supporters at the heart of our work. By focusing on finding and engaging people we will drive giving, activism and action. We will increase our focus on campaigning against human rights abuses happening internationally, and drive actions in local communities across the nation. This will result in us more effectively harnessing our strengths and opportunities to achieve more wins for human rights and protect and defend more lives. Technological change is fast paced and many organisations are adapting how they deliver their impact. At its November meeting the Board approved the People Powered model to face these challenges. This will make sure we are a sustainable, unstoppable movement that delivers high impact for many years to come. Amplify their power to make positive change. In the ‘connection’ area we are focused on demonstrating our impact and bringing people together to create a better world for human rights by telling compelling stories. We aim to connect people with human rights values and with the people who live them. Dedicated Amnesty supporters form the ‘community’ area. Here, supporters are connected with each other, and have lots of different options to be involved – but not through top-down a approach. 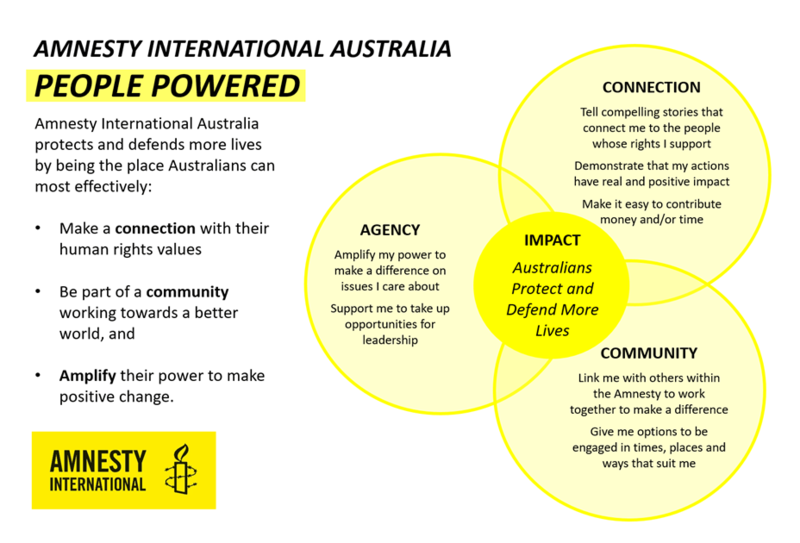 Amnesty’s most deeply engaged supporters are part of the ‘agency’ area. These are people who take up leadership roles, bring more people into the movement, or increase their financial support. Impact is the outcome of the operating model. We are creating impact when we are protecting and defending more lives. Impact has always been, and will always be, at the centre of our work. We have developed a presentation that explains in more detail how the model has been developed and what it will achieve. This information is available on the Activist consultation site. The Board is holding an updates session on the evenings of 12 and 13 December to discuss the model. Group convenors, network leaders and members of the Activism and Membership Committee (AMC), Grassroots Working Group (GWG) and Youth Advisory Group (YAG) have been invited. Your input is important and you are invited to join one of the two sessions. Both sessions will cover the same information. There will also be lots more opportunities in 2019 for members and activists to engage with this process. The model will bring changes but we shouldn’t be afraid to make tough decisions. It is our responsibility to make the most use of our donors’ funds and the time, skills and effort of our activists and staff. Amnesty has undergone many changes and renewals since it was founded in 1961. We are confident that the changes AIA is making will set us up to achieve human rights impact for years to come.